Redundancy is NASA's best friend, and so it is with the Hubble Space Telescope as NASA stands ready for failures with backups, and even in some cases, improved backup equipment. Despite that there were of course some 'excitable' headlines that read almost as though all is lost. Not so. One newspaper quoted Rachel Osten, Hubble's deputy mission head at the Space Telescope Science Institute in Baltimore, said: "It’s true. Very stressful weekend. Right now HST is in safe mode while we figure out what to do. "Another gyro failed. First step is try to bring back the last gyro, which had been off, and is being problematic. We’ll work through the issues and be back." However, in the article issued by NASA this gyroscope has been exhibiting 'end-of-life' behavior for a year, and the failure was no surprise, as two other gyros have also failed. The solution... NASA has three backup gyros that are more advanced technically and will hope to have longer lives. Two of those enhanced gyros are currently running. Upon powering on the third enhanced gyro that had been held in reserve, analysis of spacecraft telemetry indicated that it was not performing at the level required for operations. 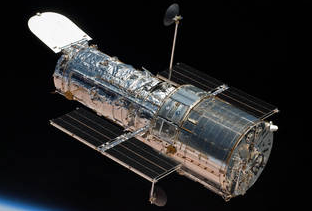 As a result, Hubble remains in safe mode. 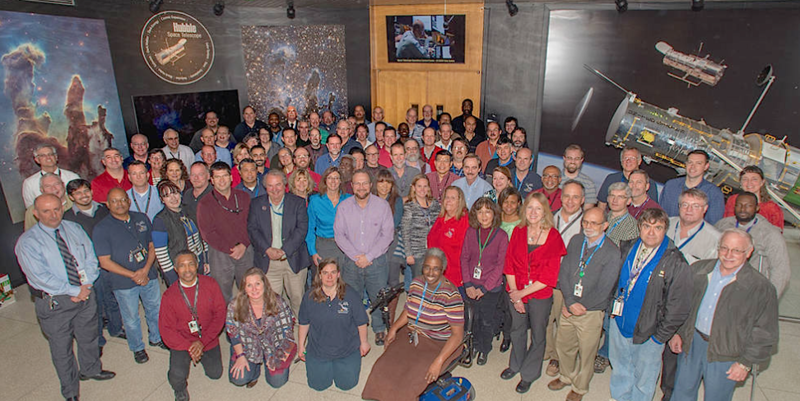 Staff at NASA’s Goddard Space Flight Center and the Space Telescope Science Institute are currently performing analyses and tests to determine what options are available to recover the gyro to operational performance.